7 Late Presenters : que faire ? 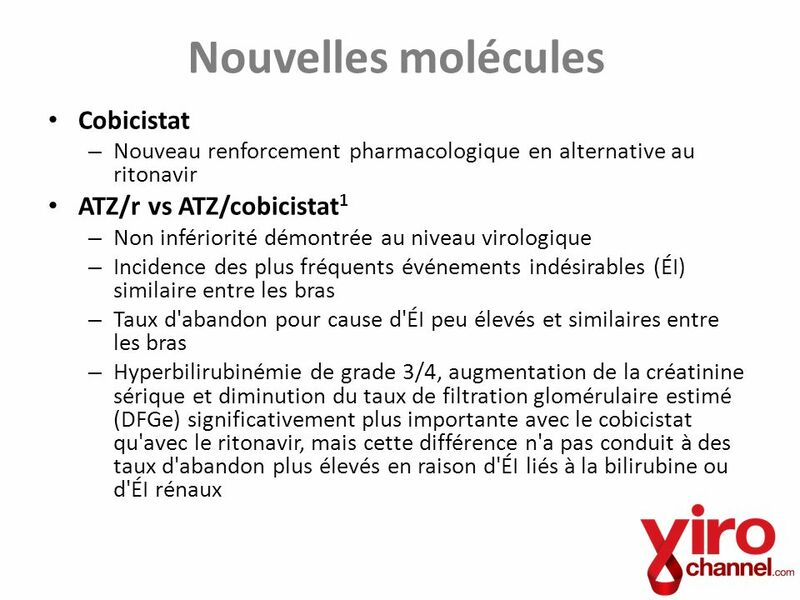 15 Nouveaux tests de dépistage à la maison : controverses ou bénéfices ? 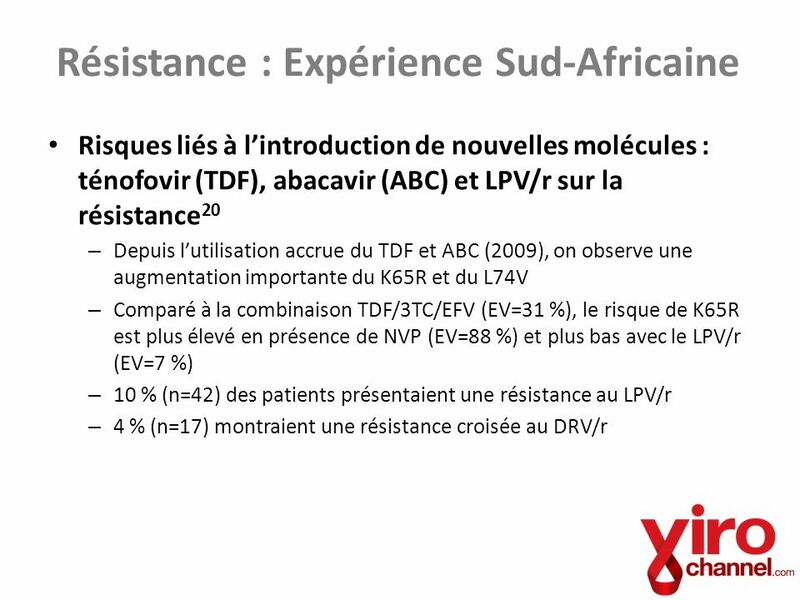 Van Zyl, G. Changing patterns of NRTI and PI resistance mutations between 2006 and 2011 in >1,200 ART-experienced South African patients: association with the introduction of tenofovir (TDF) and abacavir (ABC) and with the cumulative effects of LPV/r therapy [Abstract]. 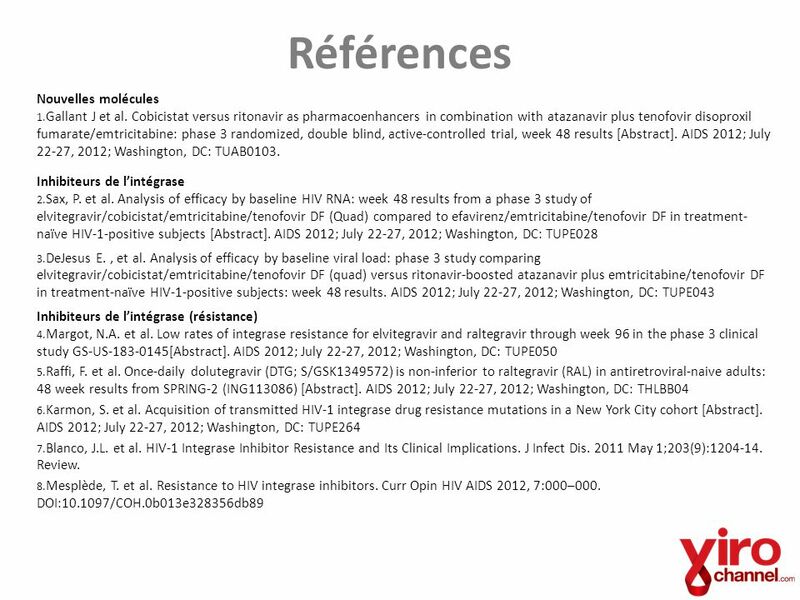 AIDS 2012; July 22-27, 2012; Washington, DC: TUAB0303 Late Presenters : que faire ? Antinori, A. et al. 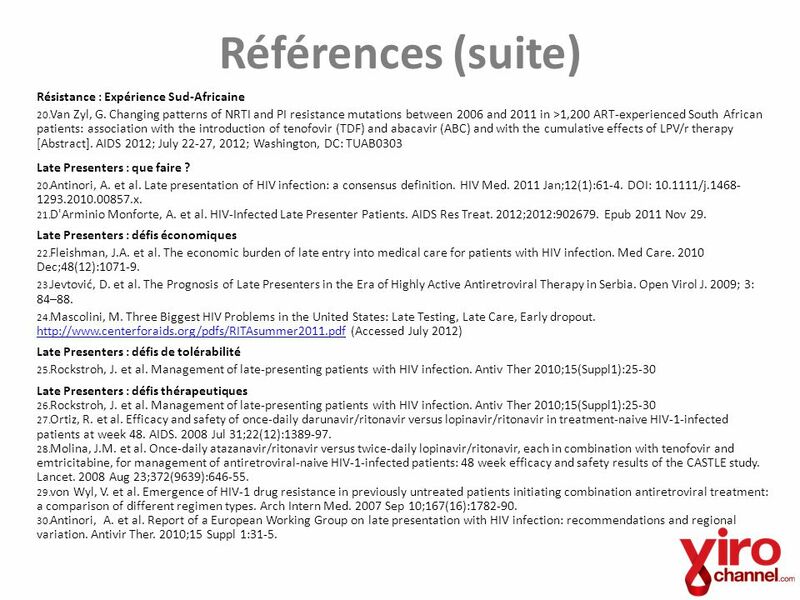 Late presentation of HIV infection: a consensus definition. HIV Med. 2011 Jan;12(1):61-4. DOI: /j x. D'Arminio Monforte, A. et al. 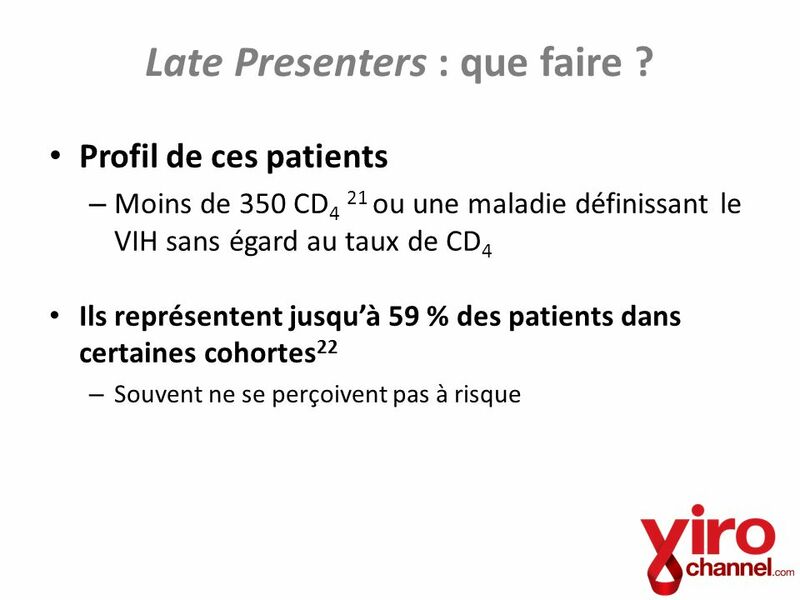 HIV-Infected Late Presenter Patients. AIDS Res Treat. 2012;2012: Epub 2011 Nov 29. 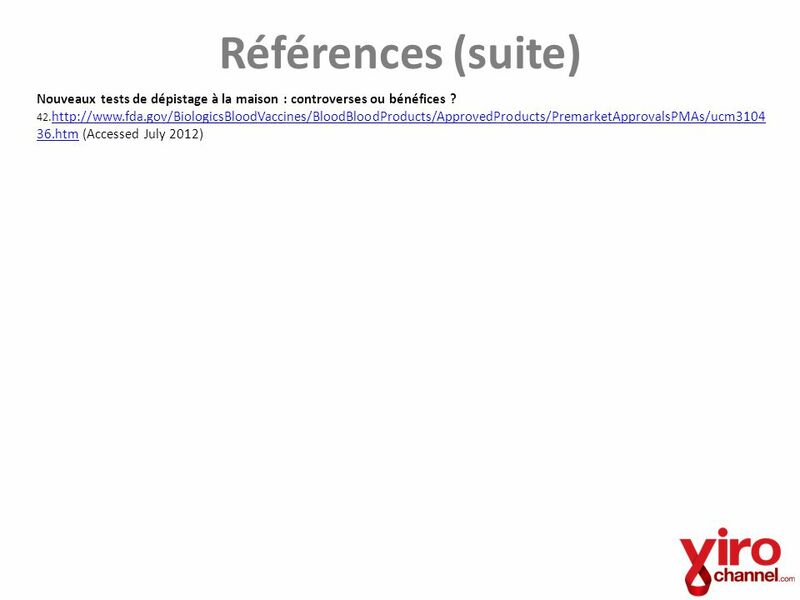 Late Presenters : défis économiques Fleishman, J.A. et al. 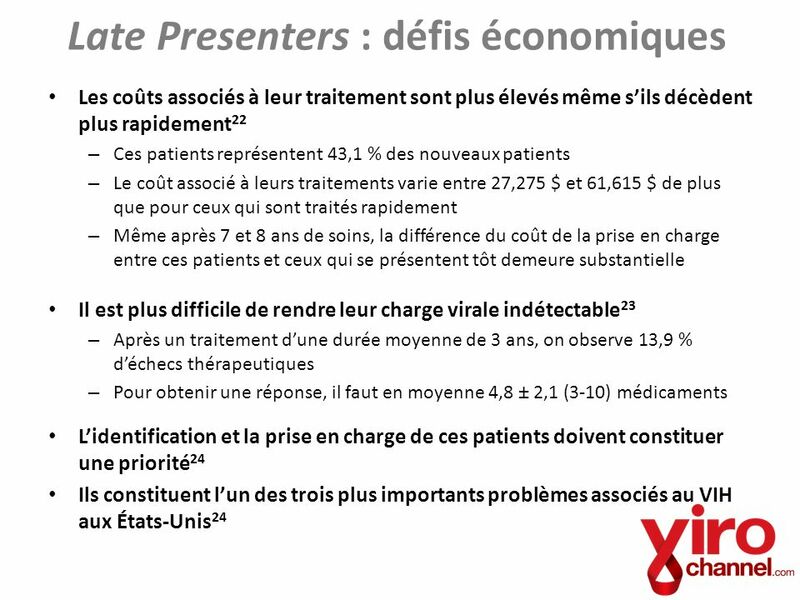 The economic burden of late entry into medical care for patients with HIV infection. Med Care. 2010 Dec;48(12): Jevtović, D. et al. The Prognosis of Late Presenters in the Era of Highly Active Antiretroviral Therapy in Serbia. Open Virol J. 2009; 3: 84–88. 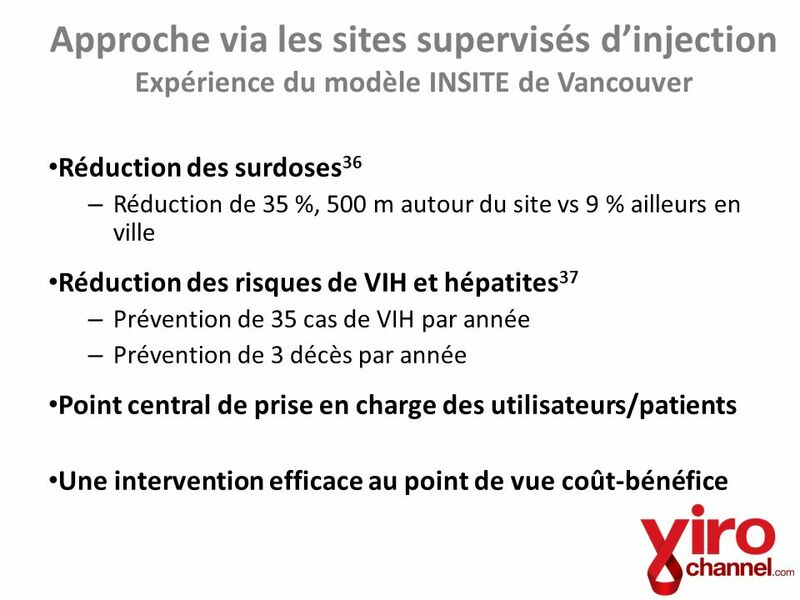 Mascolini, M. Three Biggest HIV Problems in the United States: Late Testing, Late Care, Early dropout. 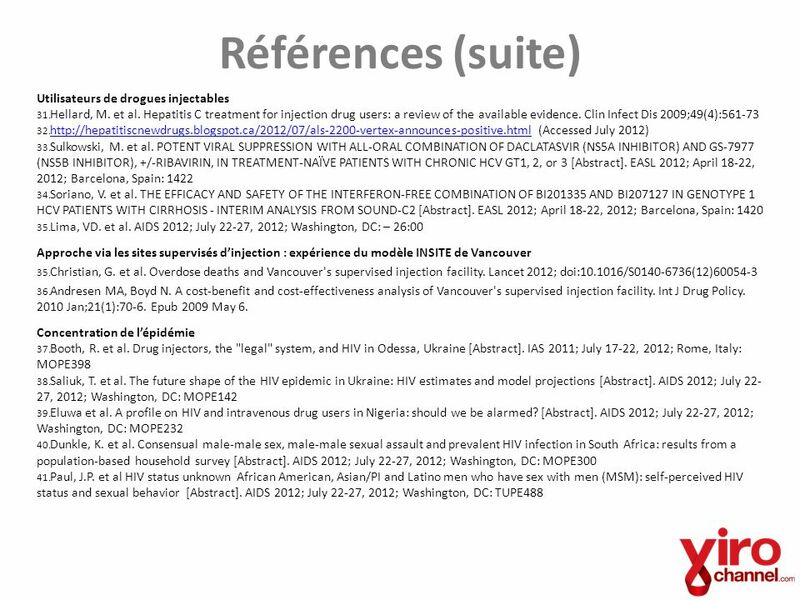 (Accessed July 2012) Late Presenters : défis de tolérabilité Rockstroh, J. et al. 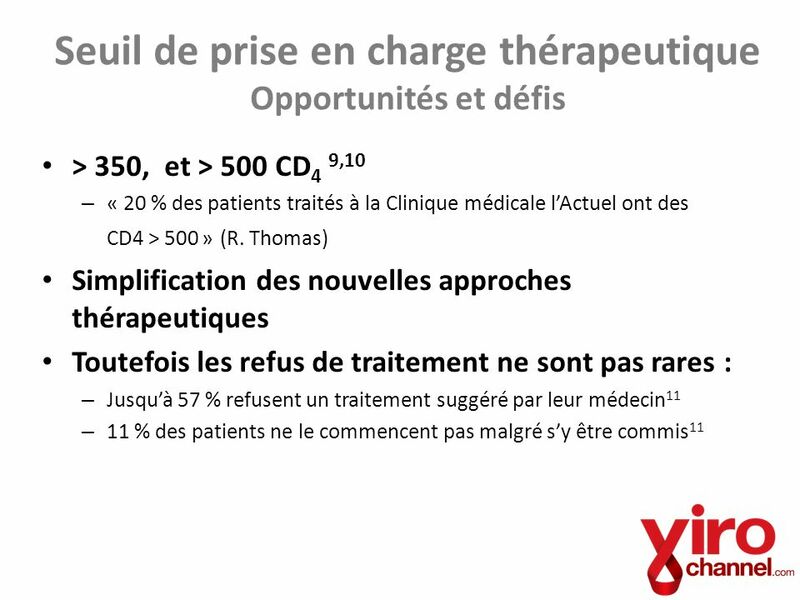 Management of late-presenting patients with HIV infection. 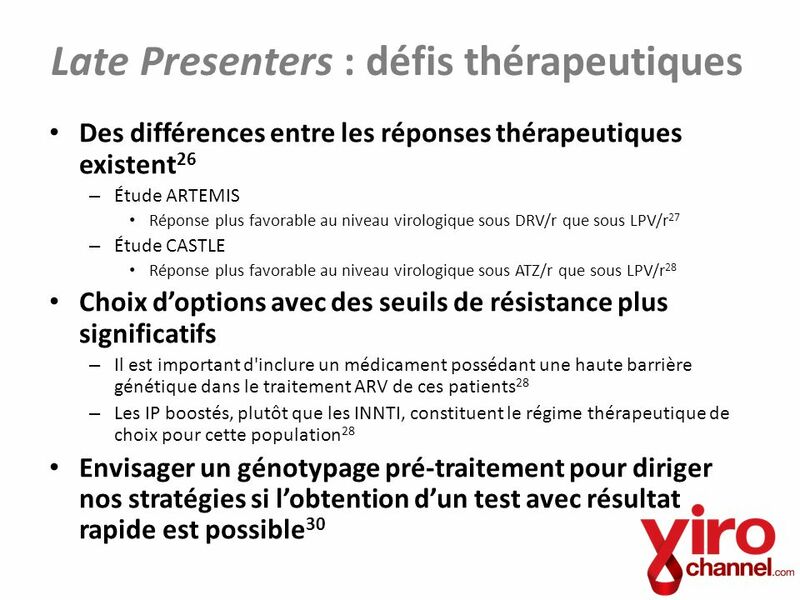 Antiv Ther 2010;15(Suppl1):25-30 Late Presenters : défis thérapeutiques Ortiz, R. et al. Efficacy and safety of once-daily darunavir/ritonavir versus lopinavir/ritonavir in treatment-naive HIV-1-infected patients at week 48. AIDS. 2008 Jul 31;22(12): Molina, J.M. et al. 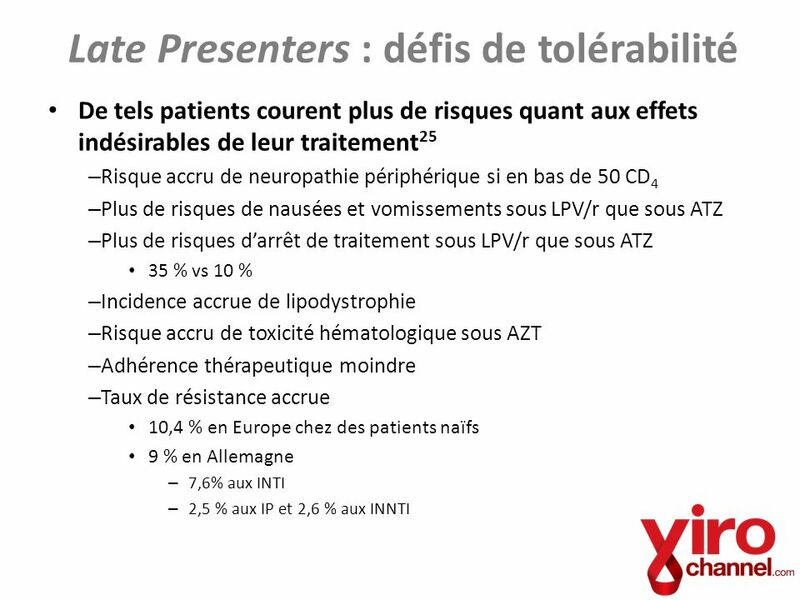 Once-daily atazanavir/ritonavir versus twice-daily lopinavir/ritonavir, each in combination with tenofovir and emtricitabine, for management of antiretroviral-naive HIV-1-infected patients: 48 week efficacy and safety results of the CASTLE study. Lancet. 2008 Aug 23;372(9639): von Wyl, V. et al. 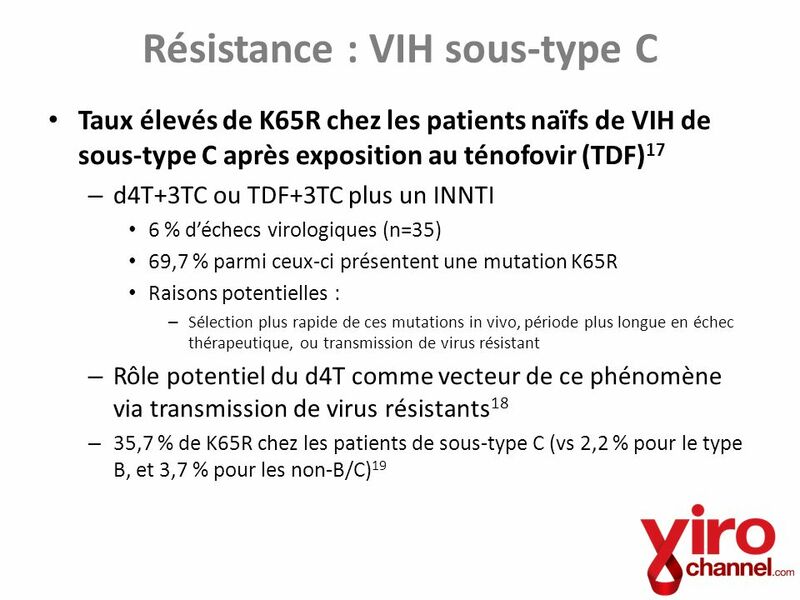 Emergence of HIV-1 drug resistance in previously untreated patients initiating combination antiretroviral treatment: a comparison of different regimen types. Arch Intern Med. 2007 Sep 10;167(16): Antinori, A. et al. 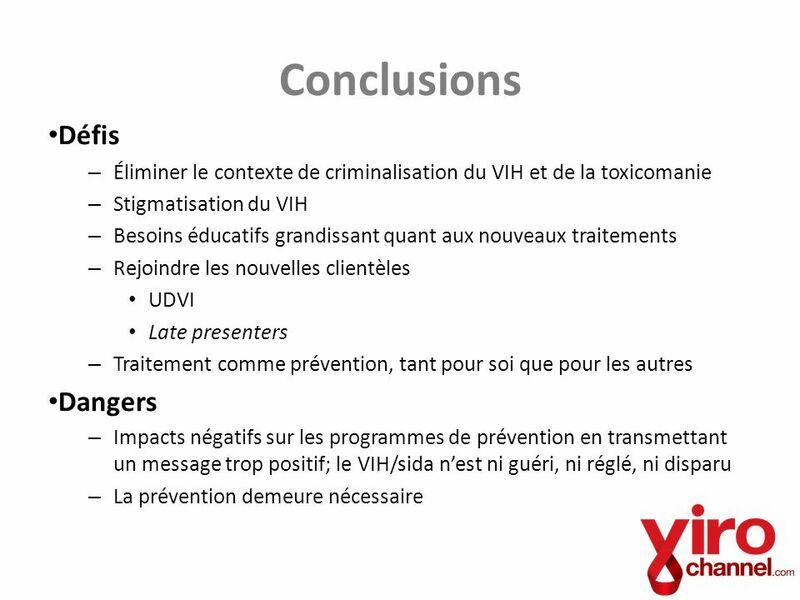 Report of a European Working Group on late presentation with HIV infection: recommendations and regional variation. Antivir Ther. 2010;15 Suppl 1:31-5. 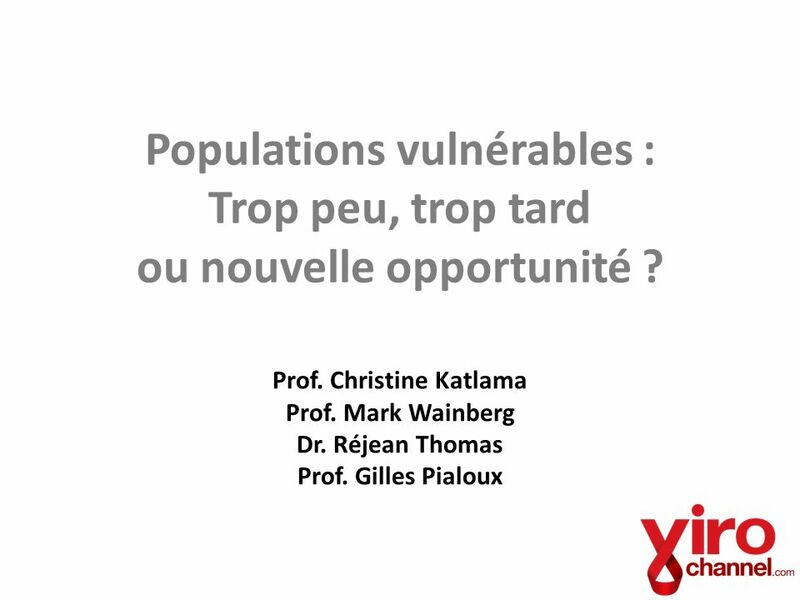 Télécharger ppt "Prof. Christine Katlama"
Le VIH est-il encore une priorité de santé publique en 2013?